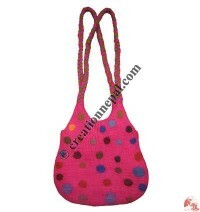 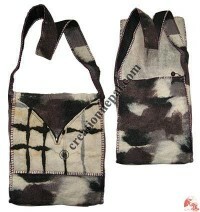 Woolen felted bags are very popular fashion items due to their customizable sizes, colors and styles. 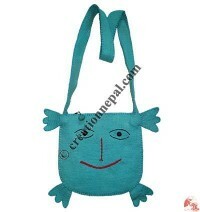 Just imagine any design and get realized it in a day; more than 45 different colors from Creation Nepal's felt chart can make your style possible by our professional hands. 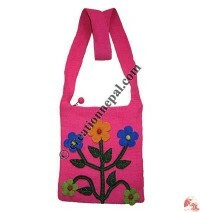 If you are looking for Nepal felt flower purses or felt handbag or felt evening bag or even the felt shopping bag, all our handmade Nepali felt bag options can fulfill your need of trending felt fashion bags. 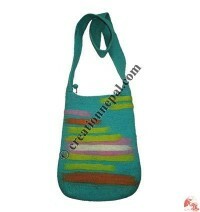 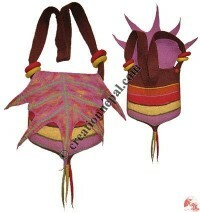 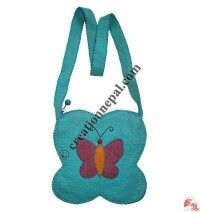 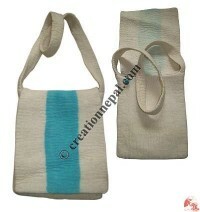 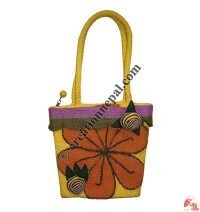 Shop for woolen felt bags on Creation Nepal, the home of felting ideas and creativity ! 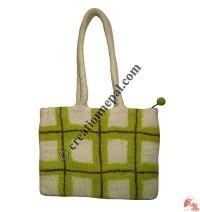 Woolen felt bags can be the perfect platform to express your ideas and creativity. 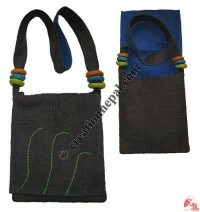 As a manufacturers and wholesale exporters of felted woolen bags Creation Nepal is supplying a large variety of handmade felt bags in different color, size and style. 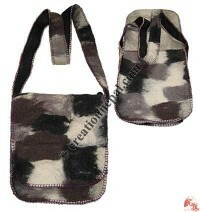 Unlimited options are open to create the ideas on our felt bags. 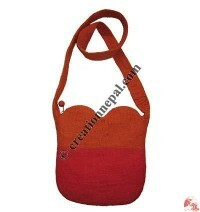 Choose your own colors from Creation Nepal's more than 45 colors, add the beads or patch the fabric or sew the way you prefer, then make a perfect bag of your idea... possible to create any design felt bag you like. 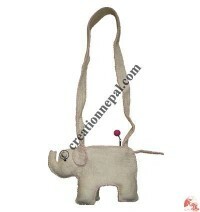 Whether it is a formal office file bag, a fashionable ladies shoulder bag or even the felt Lama bag or felt monk bag; Creation Nepal can avail all kinds and taste of felt bags those are entirely made by hand in Nepal. 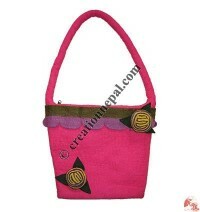 Not only you are buying our felt bags, you are supporting our marginal income level people buying these beautiful bags from Creation Nepal. 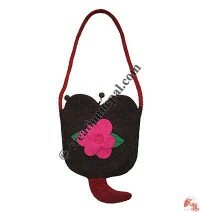 Tiny size felt evening bag, Round felt bag, Crochet felt hand bag, Crochet decoration felt hand bag, Felt passport bag, Big-flower felt bag, Square shape colorful balls bag, Kids doll felt bag, Felt check bag, Three puppet designs felt bag, Felt butterfly bag, Natural color flowers felt bag, Lips design Felt Bag, Flowers decorated Felt Tote bag, Needle-felt flower Bag, Felt Hippie bag and Swirl patch felt bag are some of our handmade felt bags available to shop online.